HFB5200A brick making machine adapts multi-shaft rotating and compulsory feeding, which greatly improves the density and intensity of the blocks, and reduces the feeding time. First of all, synchronous vibration insures the amplitude of the vibration table. Also the frequency can change according to different technique. Low frequency in feeding material, high frequency vibration makes the different material to get an optimal vibration way, so it ensures the high quality of concrete products. Firstly, HFB5200A adopts Siemens PLC control system Siemens touch screen​. It offers a dynamic display of the system's status, automatic trouble shooting and warning notice. The mold frame is made with inlaid structure, and the mold is processed via the procedures of quenching which guarantee that the strength, its service life is more that 120,000 times production. Good night. 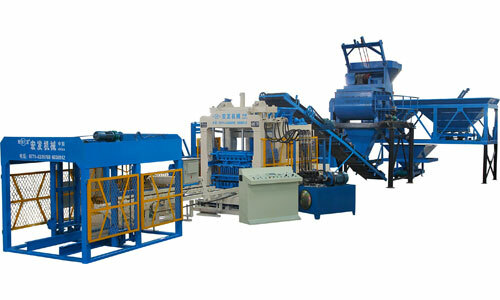 What is the cost of an interlocking brick making machine producing up-to 16000 bricks per day? I'd like to inquire about the machine, cost, availability and shipping.